$20Helps feed an actor for two meals. $35Fills a tank of gas in the car. $50Reduces costs for registration and conference fees. $100Helps with hotel room expenses. $500Van rental for moving set pieces. $1,000Sponsor all costs for one actor/crew member. Help Us Afford Dancing Lessons! This is a big deal, folks! Last month, the Iowa Association of Community Theaters held their biennial Festival in Newton. 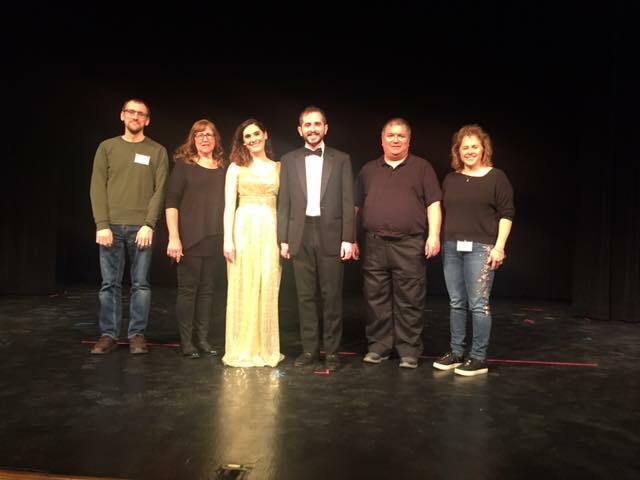 As part of the two-day conference, ACT entered a one-act play called Dancing Lessons into a competition with other community theaters in the state. The sweet and touching drama -- about the relationship between a brilliant autistic professor and a Broadway dancer who fears a leg injury will put an end to her livelihood -- was selected to advance to the American Association of Community Theatre (AACT) Regional Competition in Aberdeen, South Dakota at the end of this month. This is a tremendous achievement that, unfortunately, comes at an expense of nearly $4000. This includes conference registrations, transportation, hotel, meals, etc. for our small cast and crew of five. Faced with a need to raise money, we immediately reached out to a generous member of our ACT family for help. This donor (who would like to remain anonymous) agreed to match, dollar-for-dollar, the first $750 that we can raise in the next two weeks. Will you help? Come see ACT’s production of Dancing Lessons! We will hold one performance at ACT on Monday evening, April 22nd at 7 p.m.
No ticket needed; a goodwill collection will be taken. Up for a road trip? Come to the AACT Region V Festival, April 26-28. Take in informative workshops and watch some amazing theater (including our show)! Great show!! We're very proud. Good luck in South Dakota! You'll represent ACT well! !